Counterfeit electrical products are problematic worldwide. An estimated 5 to 7 percent of consumer electrical components on the world market may be counterfeited. Even some electricians may be deceived by brands that appear legitimate. A counterfeit product can be dangerous if installed during electrical repairs or routine service. Notifying the brand owner, so they can authenticate and identify a suspect item and get it removed from the market. Reporting a potential counterfeit electrical component to your colleagues and managers and setting up a company-wide process for doing so. Contacting the International Property Rights Center at 866-347-2423 or IPRCenterOutreach@ice.dhs.gov. When you do report a counterfeit electrical product, include the name of the product and business, its address, domain name, and any other identifying information. Also, describe the product and explain why you believe it is not authentic. To avoid counterfeit products altogether, purchase items directly from authorized distributors and resellers that have a direct business relationship with the manufacturer. All the steps outlined above should be practiced at home and at work. Suspected counterfeit electrical products should be reported immediately to avoid potential fires, explosions, shocks, and other hazards. How Do I Know If It’s Counterfeit? Red flags that can give away a counterfeit product include labels with typos and grammatical errors. The manufacturer’s name and contact information should be included; if not, the product may not be legitimate. If the Underwriters Laboratories (UL) logo is missing, it likely hasn’t been properly tested. A lack of brand identity or affiliation is suspect as well. 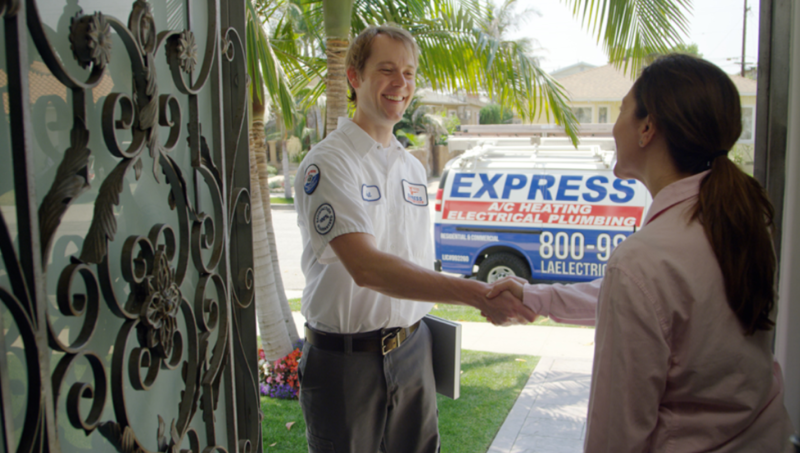 Express Electrical Services is available 24/7 to address all your concerns. Same-day service is provided throughout Los Angeles as well as Orange County and Riverside County. Our company has served all of Southern California since 1982. We are committed to keeping your workplace, home, and family safe. Available for emergencies of any scope, our technicians are trained to spot potential issues such as counterfeit products. If you believe something isn’t right about a surge protector or other device, allow us to check it and we’ll let you know if it’s safe to use. If not, we can explain how to proceed and recommend authentic products that are safe and reliable. Our Los Angeles electrician can also install any component for you, including ground fault circuit interrupters, whole house surge protectors, or electrical outlets, switches, dimmers, panels, fans, HVAC units, EV chargers, or kitchen/bathroom/garage lighting. We also install home automation systems as well as carbon monoxide and smoke detectors. Whether you spot a counterfeit product or have a problem such as a power surge, flickering lights, buzzing outlets, burning odors, sparking electrical panels, or faulty wiring, don’t hesitate to call Express Electrical Services. We can be reached 24/7 at our Los Angeles, Santa Ana, and Riverside locations, so call today, or feel free to request service online.